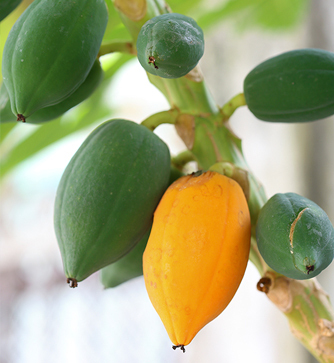 Fruit that is partially yellow should be left at room temperature and will ripen in a few days. If you want to speed this process, place in a paper bag with a banana. Ripe fruit should be stored in the refrigerator and consumed within one or two days, so you can enjoy their maximum flavor.